If you're good with tools, you can install your own solar system with help from a kit. Solar power kits are a smart option for anyone who wants to start using renewable energy to power their home and RV — without having to pay for a complete, professionally installed solar system. As long as you’re willing to have a DIY spirit about your energy production, you can be up and running quickly. And since the kits range in price from a few hundred dollars up to a few thousand dollars, they can fit most energy needs and budgets. 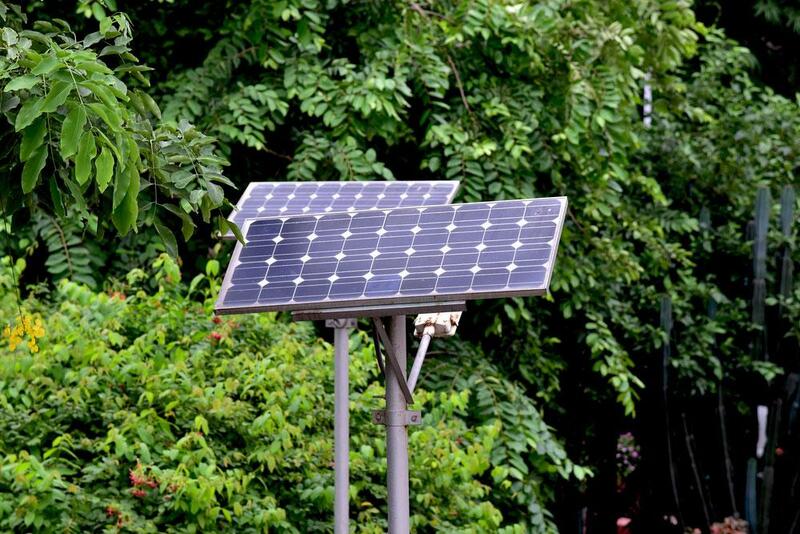 Here’s a few things you should know before you buy your own solar power kit. Who Should Use Solar Kits? Most DIY solar kits are designed only for off grid use. For most homeowners, who are probably not ready to cut themselves off the grid entirely, this means that it’s likely not a good solution for powering your entire home. However, if you want to power something smaller, then an all-in-one-kit can give you everything you need. For example, you can affordably install a PV system using a solar power kit, which will power your RV, boat, or off-the-grid cabin. You might also be able to use a solar power kit to power a part of your home, such as your backyard jacuzzi. What Does A Solar Power Kit Include? These are the large, flat panels that turn sunlight into electricity. Mounting brackets help you secure the panels to a surface, such as your roof or any area that gets a lot of sun. Since solar panels generate DC electricity, you’ll also need an inverter which can convert it into the kind of AC electricity that powers lights and appliances. You won’t necessarily use your solar power while it's being generated. A battery pack system can store energy over time. This gives you option of using stored power any time you like, even at night. In some kits, the batteries are sold separately. A charge controller regulates the electric current to prevent batteries from overcharging. Of course, you’ll also need a cable system that allows you to connect all of the components of your solar system together. What Size Solar Power Kit Do I Need? Less important than your solar power kit’s size is how much energy it produces. And how much energy kits produce should roughly match how much energy you need for your specific range. There’s an impressive range of solar power systems, from small and easy-to-install 150-watt systems to huge (and relatively pricey) 10-kilowatt systems. If you just want to power an outdoor, motion-activated light for your shed, then you’re safe on the lower end of the scale. If you want to power an entire remote cabin, then you’ll probably need a higher-end system. How Does A Solar Power Kit Charge Batteries? It’s important to remember that a lot of power is lost when you use solar panels to charge batteries. The charge controller constricts the amount of energy that goes into batteries to around 13.6 volts. Consequently, a 175-watt panel will only put about 90 watts of that energy into a battery. While it’s possible to expand your battery bank over time, you should remember that your new batteries will perform at the same level as the oldest batteries in your bank. Ideally, you choose the size of your battery bank up front and stick with it. What Are the Challenges To Installing A Solar Power Kit? Even the most handy homeowners will encounter unique challenges when installing their solar panels. All solar panels should face true south, but you will have to calculate the best solar panel tilt yourself. In order to capture the most amount of sun, you’ll have to figure out how to best position your panels based on your latitude. You’ll also need to install the system in a place that doesn’t receive shade. To get the most energy every day, you panels should be exposed to full sun. Where Can I Buy A Solar Power Kit? Solar power kits can be purchased at just about any large home improvement store or online. In fact, it’s best to get your solar power kit from a brick and mortar store so you can take advantage of their expertise. They probably have someone on staff who has some experience installing solar panels, and they can point you in the right direction before you take on your own DIY solar project. "There’s an impressive range of solar power systems, from small and easy-to-install 150-watt systems to huge 10-kilowatt systems. "